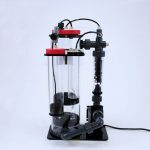 Spend a little time in this hobby and you’ll learn two truths: First, the current gold standard and center of many tank filtration systems is the aptly-named protein skimmer; and second, many of said skimmers are notoriously finicky and often difficult to dial in “just right.” Take a quick look around at any online retailer and you’ll find skimmers of every shape, size, color, and price point. 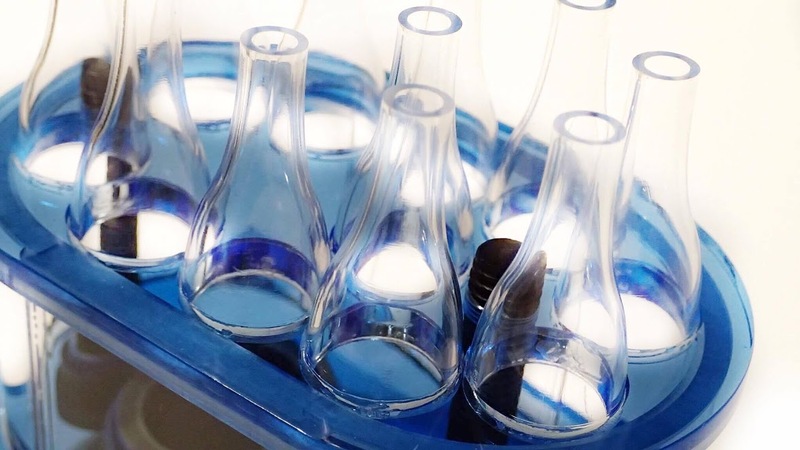 Manufacturer specs will shower you with facts about pump size, impeller type, and bubble production, but you’ll quickly notice one important fact that’s missing: Will it work well? While I don’t consider my 37 gallon column tank to be in the ‘nano’ category, its small size across the back has made it very difficult to find a skimmer that fits well, and I have gone through multiple attempts with small-scale skimmers to find something that was unobtrusive, powerful, and reliable. 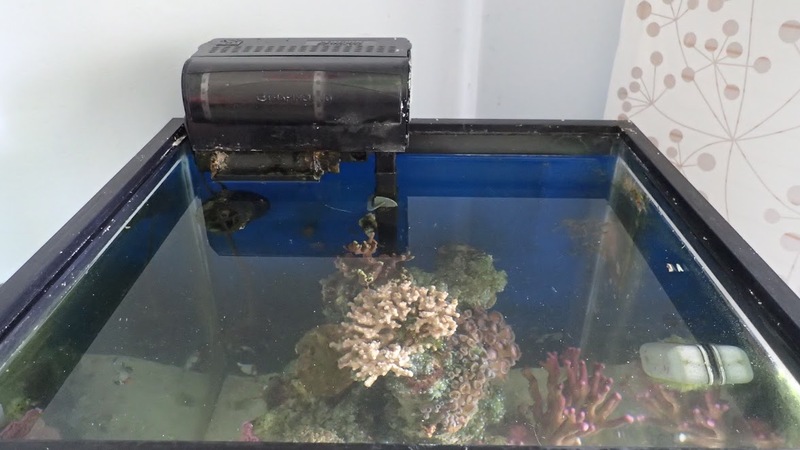 Skimmers for smaller tanks tend to be difficult to use – their diminutive motors are often underpowered and may not chop the air into fine enough bubbles, they aren’t tall enough to allow a good reaction time for the dissolved organic compounds to bind with the air bubbles, and their collection cups tend to be undersized and difficult to clean. My own quest to find that ‘perfect’ skimmer has been a hit or miss adventure, with more misses than not. Now, finally, I can record a solid hit. 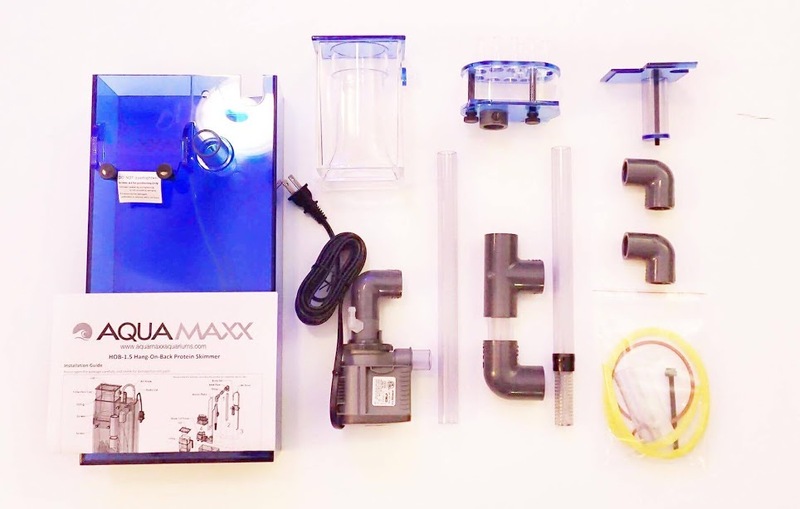 The Aquamaxx HOB 1.5 skimmer does for this size aquarium what no others have been able to: it works well, and reliably. 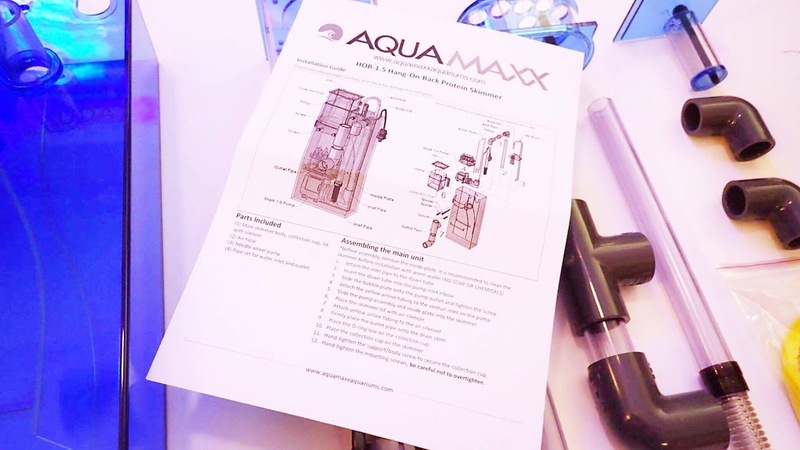 When I came across the Aquamaxx HOB-1.5 skimmer, I was initially worried. 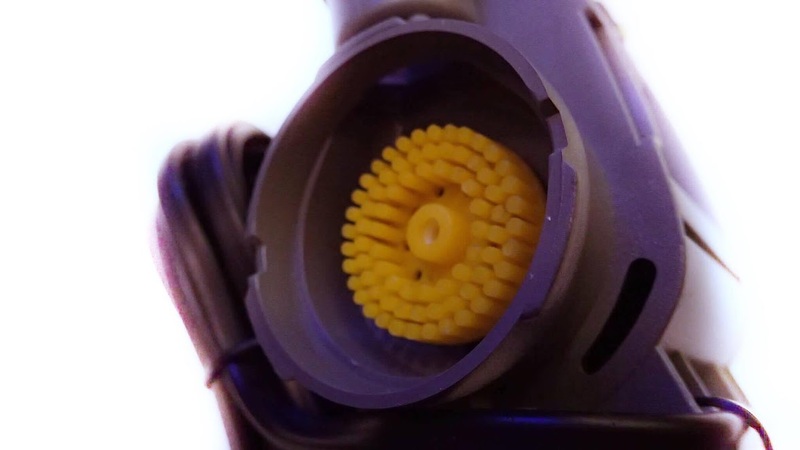 My only previous experience with Hang-On-Back style skimmers was with a poorly made product that began leaking at a seam, dumping gallons of water onto the floor before I noticed the problem. But the reviews and videos I found online convinced me to give it a try, and I am thrilled with the results. 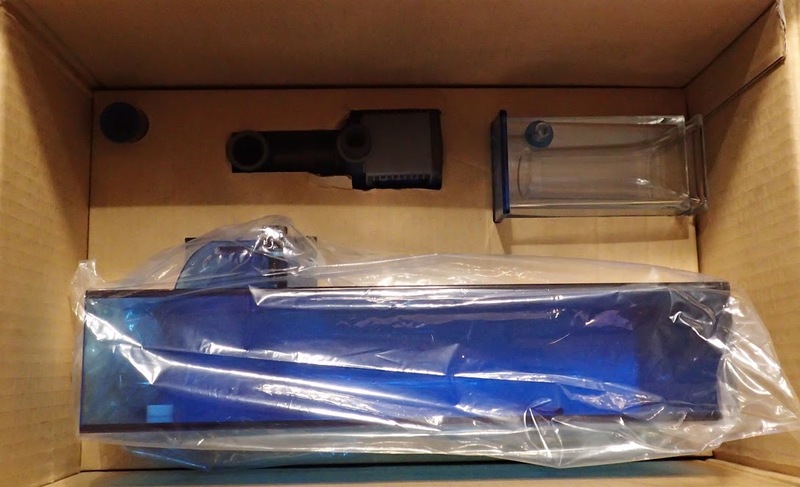 Shipping was quick, and my new skimmer arrived well packed in a sturdy shipping carton. As soon as I started pulling the parts out, I knew I was looking at a quality-made piece of equipment. Acrylic seams are all cleanly cemented and polished. Mounting points for the skimmer to hang on are sturdy, and built for almost any tank situation. 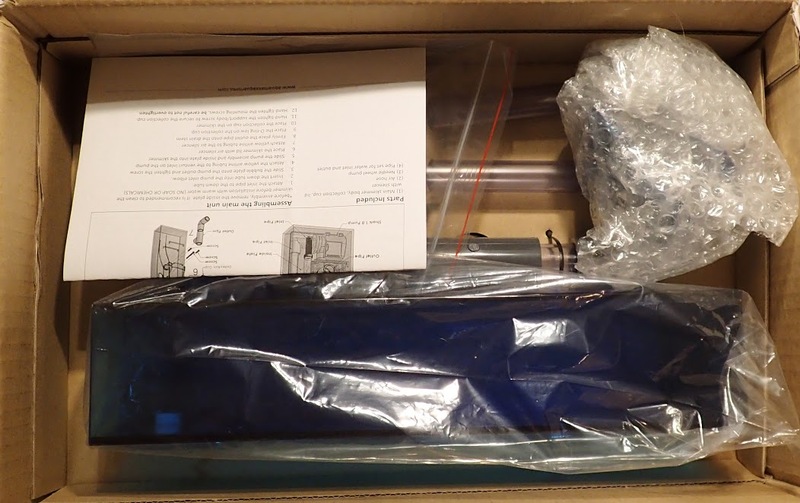 Assembly was very straightforward, and the instruction sheet was easy to use, though I also referred to YouTube just to make sure I was putting it together correctly. Total assembly time (including internet time!) was less than ten minutes. 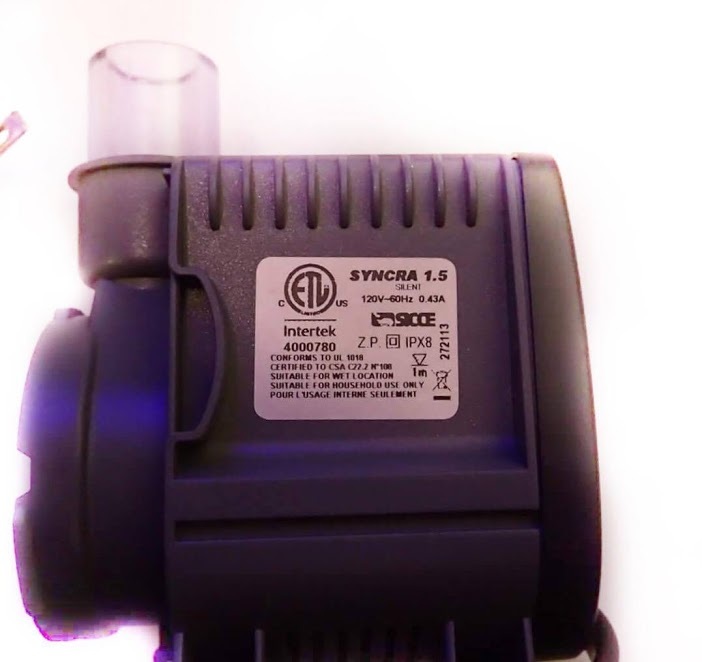 The Aquamaxx HOB-1.5 comes with a modified Sicce pump, with a very sturdy-looking needlewheel impeller. Take a look at the size of this thing! This is a serious piece of bubble-shredding equipment. If there was such a thing as the Cuisinart of the saltwater skimmer world, this is what it would look like. Even more impressive is the equipment that’s attached to the pump. The bubble-rich outflow leaves the pump and enters a diffuser unit that’s built with small acrylic thrust nozzles. 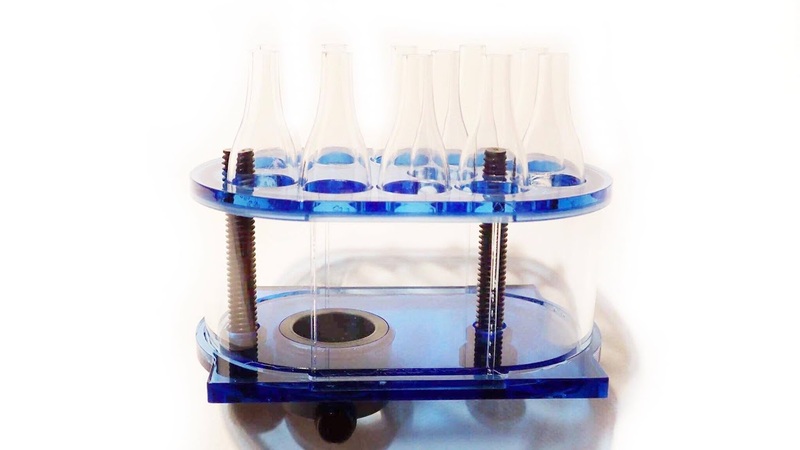 These incredible little nozzles spread the bubbles evenly over the whole surface of the chamber, and simultaneously force the bubbles into powerful streams of concentrated flow before entering the reaction chamber itself. 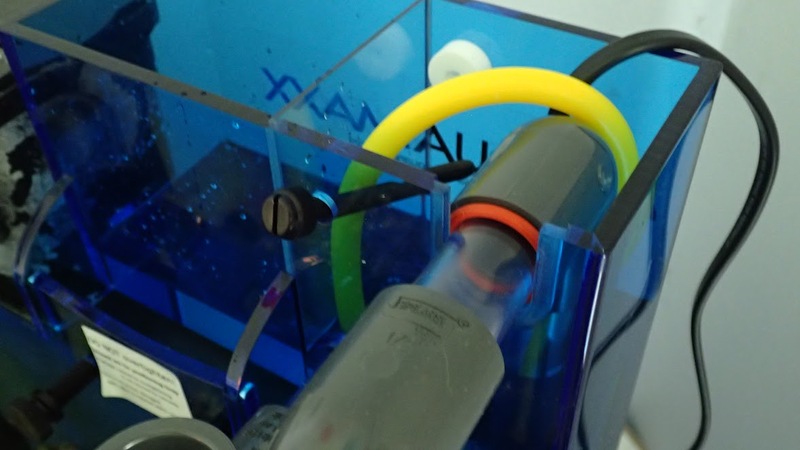 This is a feature of other high-end skimmers, here at a fraction of the cost, and they effectively turn the entire reaction chamber into a frothing vortex of foam as they strip the DOCs from your aquarium water. In my opinion, it’s this feature specifically that destroys any notion of “break in time” so common with older skimmers. 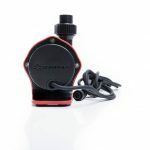 The collection cup is oversized, with an included overflow vent that comes with a silicone downpipe to send any skimmer overflow either into a container of your choice, or in a pinch, a way to recycle back into the skimmer body: say goodbye to overflow messes! 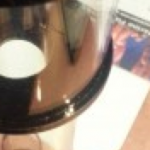 And even better – this skimmer comes with an air inlet silencer. The constant low-grade gurgle of the venturi sucking in air may not be an issue to some people, but when you’re talking about a tank that’s going to be in the same room you sleep, you’ll discover that sound is annoyingly loud at 2 AM in the morning! 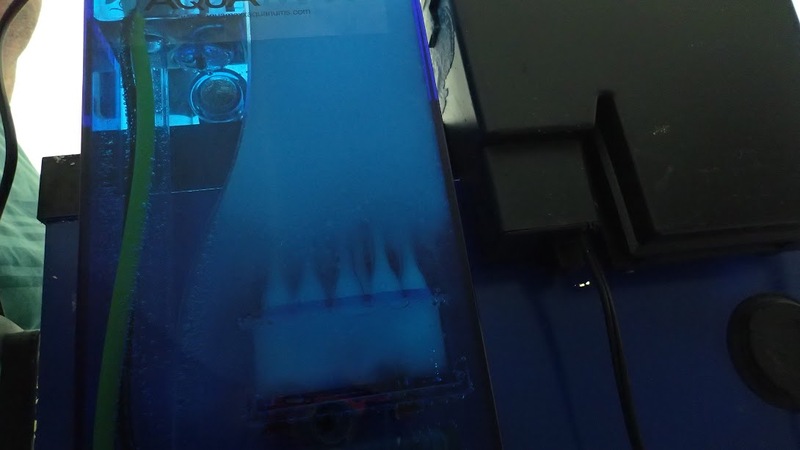 This skimmer, instead, is almost dead silent. In fact, my wife asked me the first night if the skimmer was even on. Bonus points to Aquamaxx for getting the Spouse Approval Rating! The Aquamaxx HOB-1.5 claims to be able to fit on just about any aquarium, and the specs on their website don’t disappoint. It’s barely 7.5 inches wide, and it only needs 10.75” of tank height to be able to hang properly. Plus, it’s large enough to fit over even the thick black plastic lip of most standard AGA tanks. 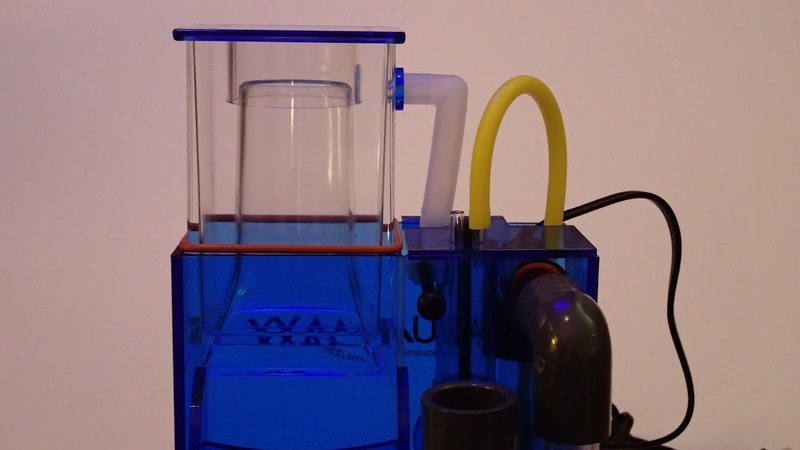 What this means for you is simple: It’s powerful enough to handle a 60 gallon tank with a heavy bioload, but small enough to hang on the back of a 10 gallon aquarium with plenty of room to spare! 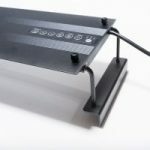 As stated in their online product info, this model can even hang from the back compartments of most all-in-one nano aquariums, such as the JBJ 28 gallon tank. For my purposes, I was looking to find a product that would fit in the back of an already crowded 37g column tank. Space is limited back there, with a HOB biowheel filter already taking up half of the 20-inch real estate on the back of the tank. I was thrilled to see the hanging specifications for the HOB-1.5, but I have to admit – even though I knew logically that it would fit, when it came down to the moment of truth, I was worried. But as you can see, I had nothing to fear. 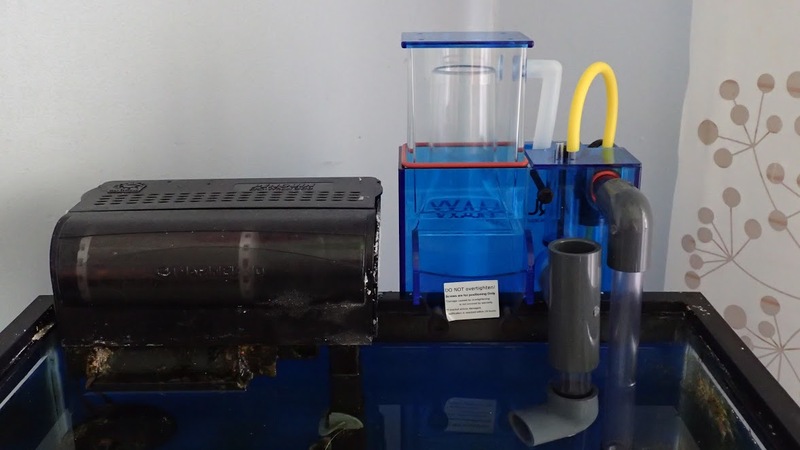 Priming the pump is a simple process of filling the chamber with tank water, then turning on the skimmer while holding the air hose under water. 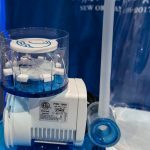 You don’t want to start sucking air until the pump is primed. Once you’re cycling water, take the air hose and reattach it to the silencer, then watch out while those bubbles fly! My new skimmer began producing a column of dirty foam in the neck assembly literally within minutes of powering on, and started giving me a good thick, and dark skimmate by the end of day one. You really can’t ask for better than that! As far as protein skimmers go, I can fairly say I’ve been around that block a few times and seen a lot of different products in action. In my quest to find the perfect skimmer for this particular tank, I’ve tried more than a couple. While most have had their pros and cons, I’ve never seen a skimmer check off more ‘pro’ boxes than this new Aquamaxx HOB-1.5. It’s small, strong, powerful, reasonably priced, and to answer the big question at the beginning of this article: it simply WORKS. 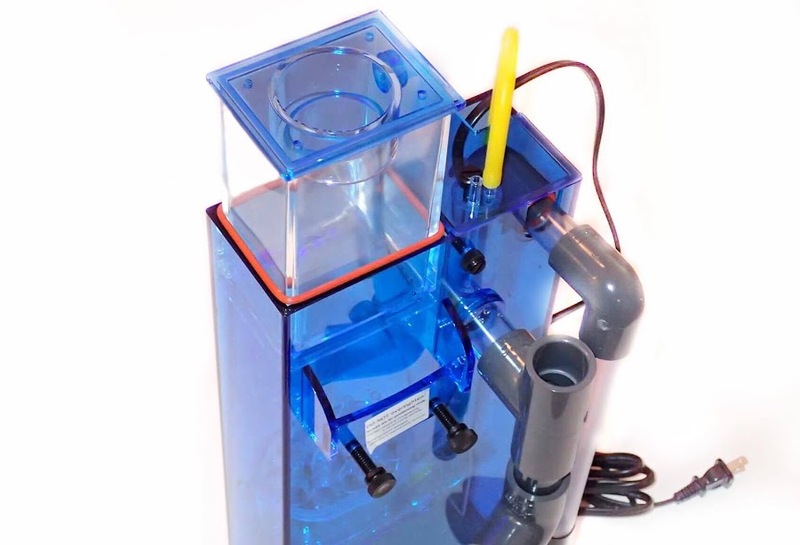 I was thrilled to find this on Marinedepot.com, and I can highly recommend it to anyone in the market for a powerhouse skimmer with a small footprint. You can look at the specs, other user reviews and purchase the skimmer in Marine Depot. Happy Reefing!